Four steps to improve your running economy. VO2 max—a measure of upper-end aerobic capacity—improves slightly over time, but doesn’t explain how athletes continue to progress over many years. For example, Paula Radcliffe, the world-record holder in the marathon, had a VO2 max of 70 ml/min/kg in 1991, when she was a well-trained teenager. By 2003, her VO2 max had not budged, but her oxygen consumption at six-minute pace had dropped from 205 ml/kg/km to 175 ml/kg/km. In other words, she used about 15 percent less oxygen to go the same pace. Her running economy had improved, so she got faster. An article in the journal Sports Medicine defines running economy as “The energy demand for a given velocity of submaximal running.” That is: how much oxygen your body needs to run at any given pace below your all-out race pace. Picture Jim Walmsley bounding over the trail effortlessly, like a super-antelope. Now picture a beginner runner (one with the same body type as Walmsley), slogging like a rhino, using twice the energy to do half the work. How do you go from rhino to antelope? It’s all about improving your running economy. Yet, running economy is a bit of a mystery. A number of variables contribute to improved running economy, and the best way to target them isn’t fully agreed upon in the coaching community. Here are four tips that could help. The easiest way to improve running economy is to increase gradually the amount of running you are doing. Increased running volume jacks up just about every variable that goes into running performance—most notably, muscle-fiber composition and mitochondrial and capillary density, both of which are related to running economy. For the most part, endurance runners want slow-twitch (ST) muscle fibers, which use energy more efficiently and are more resistant to fatigue than their fast-twitch (FT) counterparts. ST fiber propensity has a large genetic component, but it does change over time with consistent, aerobic training. Similarly, ST fibers and type IIa FT fibers (FT fibers that largely use aerobic energy sources, in contrast to type IIx fibers, which are explosive and fatigue rapidly) have higher mitochondrial and capillary density. Capillaries promote oxygen and nutrient flow; mitochondria use oxygen and fuel to facilitate energy production. Training ST and type IIa FT fibers increases the density of those capillary- and mitochondria-rich fibers, improving your body’s fuel efficiency and turning you from a Kia into a Tesla. Increased running volume also benefits your musculoskeletal durability and strength, letting your body handle bigger training loads. It’s a positive feedback loop: run more, grow stronger and more durable, run even more, get faster. Running more is an uncontroversial way to get faster. Now, let’s wade into more turbulent seas. 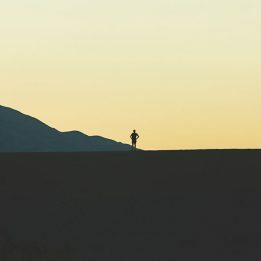 What happens when the runners deviate from their self-selected cadence, adopting a quicker one, over months and years? Can the reduced mechanical energy end up improving running economy in the long run? One of the top coaches of all time, Dr. Jack Daniels, found that 180 was generally an optimal cadence for elite runners. The exact optimal number probably varies a lot based on personal background; but the general principle that higher cadence reduces mechanical energy may explain why trained runners have higher cadence than untrained runners. It’s tough to know economical running form when you see it—Radcliffe has unorthodox-looking form, for example. Good general rules are to run with compact arm swing, run tall through the hips (rather than sinking with each stride) and make sure your footstrike is under your center of gravity (rather than in front). 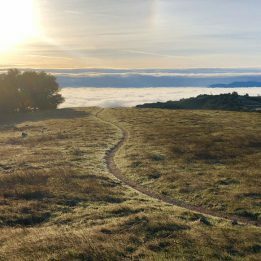 Top coach Joe Uhan has some great tutorials for trail and ultra runners. But remember different things work for everyone. Strength work and plyometrics can reduce ground contact time and improve power output independent of aerobic development. Thus, done right, strength work is a boon for running economy. But done wrong, strength work can make your body go boom, through injuries and stress. The key is developing a system that works in the context of your life. 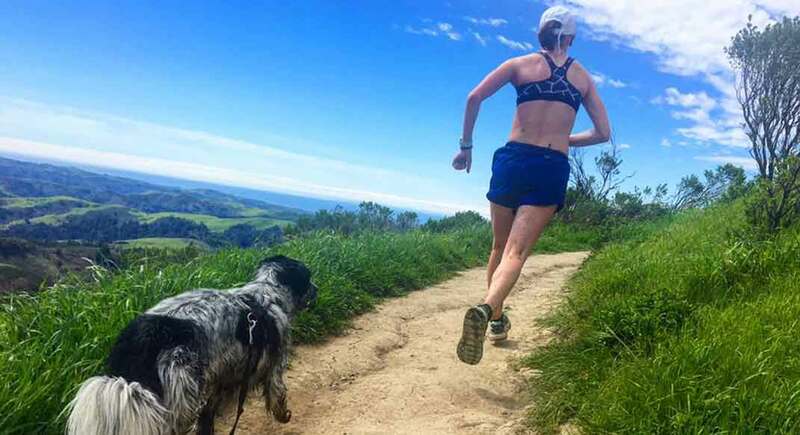 Ideally, you have a running-specific strength coach that walks you through a routine to make your legs mountain-ready (research has shown things like box jumps and deadlifts improve economy for some runners). However, as a coach, I prefer a strength routine that can be done consistently at home. Nearly all of the elite athletes I coach incorporate two workouts into their training: strides (discussed below) and a 5-minute mountain legs routine, consisting of strength-based lunges and plyometric-style single-leg step ups. Approach trail training with the blunt force of lots of easy miles and long intervals, and you may never learn to run fast in the first place. Sometimes, you need a sharper, more specific instrument. In this case: you can learn to run fast by actually running fast. From a neuromuscular perspective, strides and short intervals improve how your brain sends signals and how your body interprets them, reducing ground contact time, better transmitting energy throughout the kinetic chain from foot to hips (and even upper body) and turning it in to forward motion. They can also increase the amount of force your legs deliver with each stride. Think of running as a series of short, repeated jumps, like plyometrics. Strides make you jump quicker, faster and stronger. 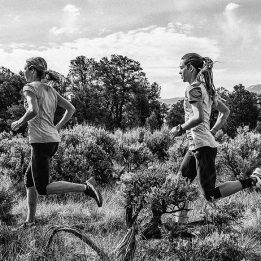 One to three times a week, most of our athletes do 4 to 12 x 20 to 30 seconds fast, with 1 to 2 minutes of easy running in between each stride, on flats or hills. More advanced athletes will even do longer surges between 40 seconds and a couple minutes, like 8 x 1 minute at 5K pace with full recovery. None of these workouts should be all that aerobically taxing, but more focused on making faster running feel easier over time. Those are the basics of running economy—do more easy running, focus on a quick, soft cadence and improve power transfer through strategic strength work and fast strides. As your old interval pace starts to become your easy run pace, you may start to realize the benefits of improved running economy. There is magic to be found in your itty bitty legs. David Roche runs for HOKA One One and NATHAN, and works with runners of all abilities through his coaching service, Some Work, All Play.